was built in Ferndale, California in 1889. It is now an opulent and popular bed and breakfast inn. 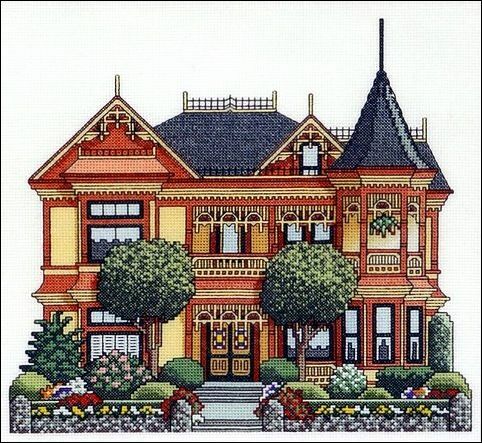 The main colors in this design are yellow and terra cotta. Stitch count is 150w x 138h.